20 years ago on a mid-October day Barbizon Atlanta opened our doors to provide the southeast with a local source for the latest in production equipment for theater, television, film, themed-environments and architecture. 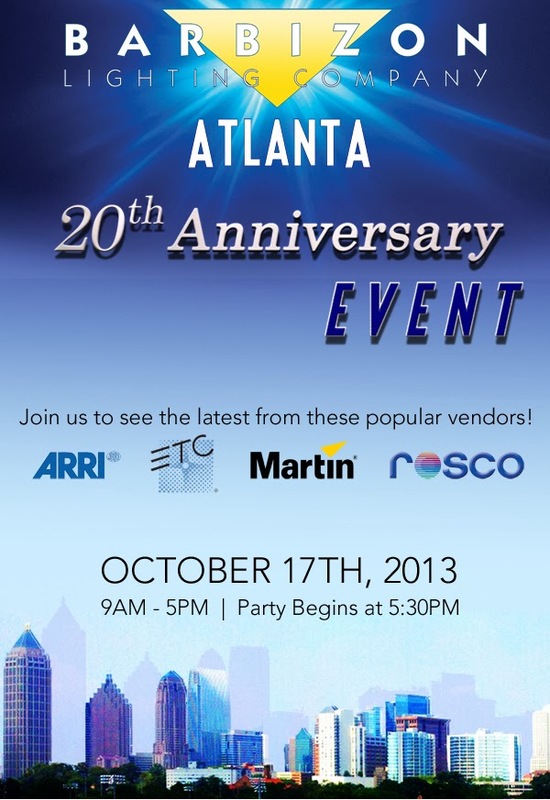 Join us Thursday, October 17th at our offices to celebrate our 20th year in business here in Atlanta. There'll be snacks and such all day, but you're also invited to a reception starting at 5:30 where we'll all be able to raise a glass and toast two decades of service.